Welsh History Review is published in four parts per volume, one volume every two years. 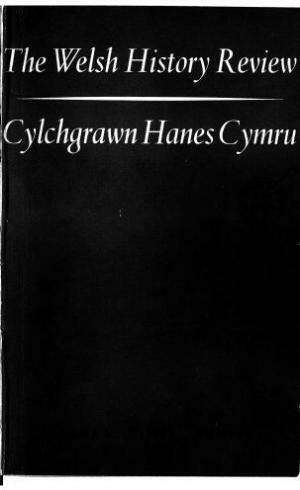 The majority of the material is English but some is in Welsh. It contains academic articles and book reviews. It started publication in 1960 and continues; from Vol. 21 (2002) onwards, it has been published electronically by Ingenta, in addition to the paper version. They are not available at Welsh Jorunals Online. Publisher Details: Welsh History Review is published by the University of Wales Press on behalf of the History and Law Committee of the Board of Celtic Studies.